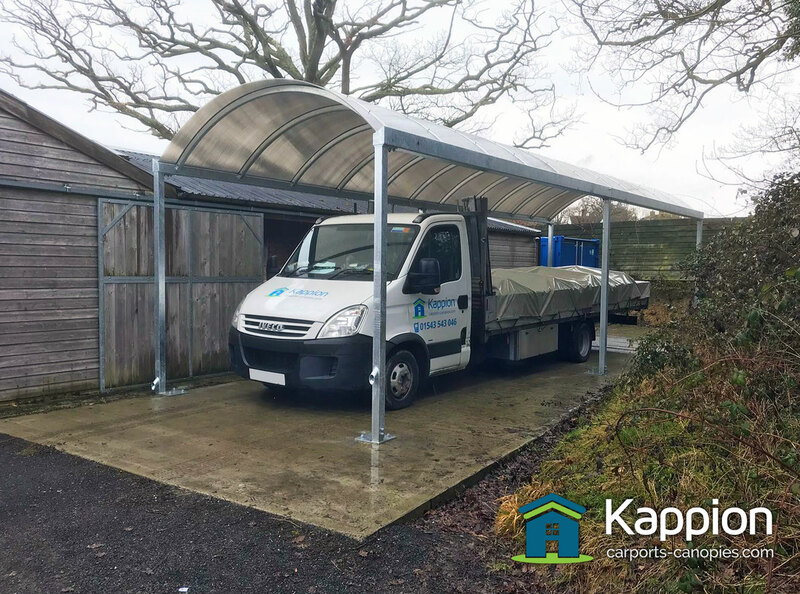 Our customer Bill wanted a car valet canopy that could be used to wash vehicles that vary in size… our structurally sound wide-span solution was the answer. 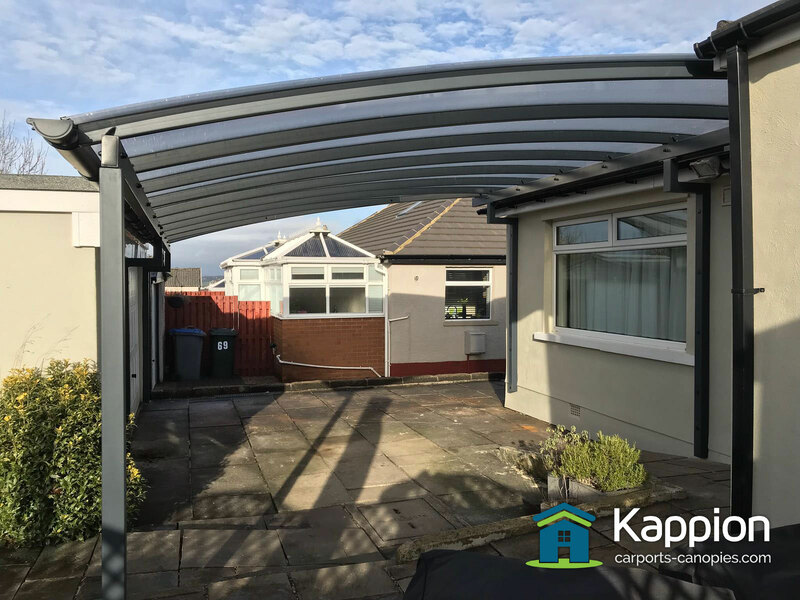 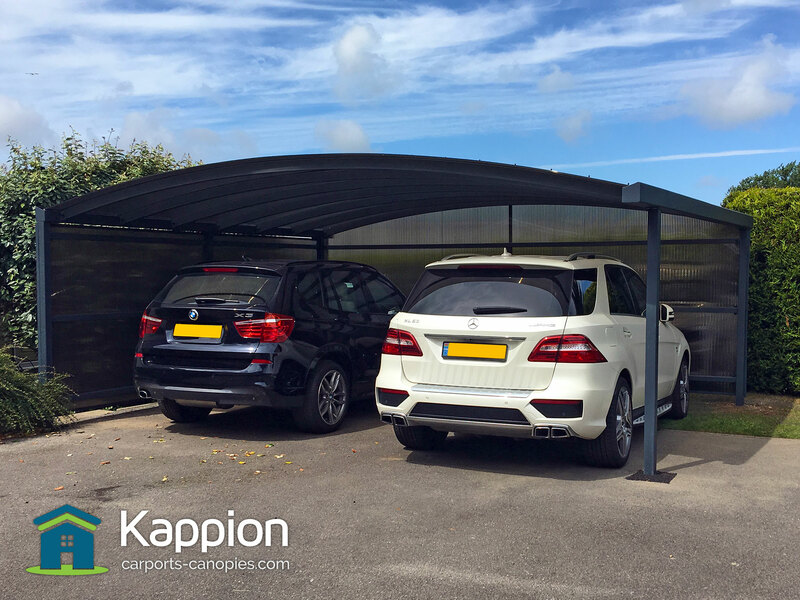 A double carport canopy installed with sidewall cladding near Swansea. 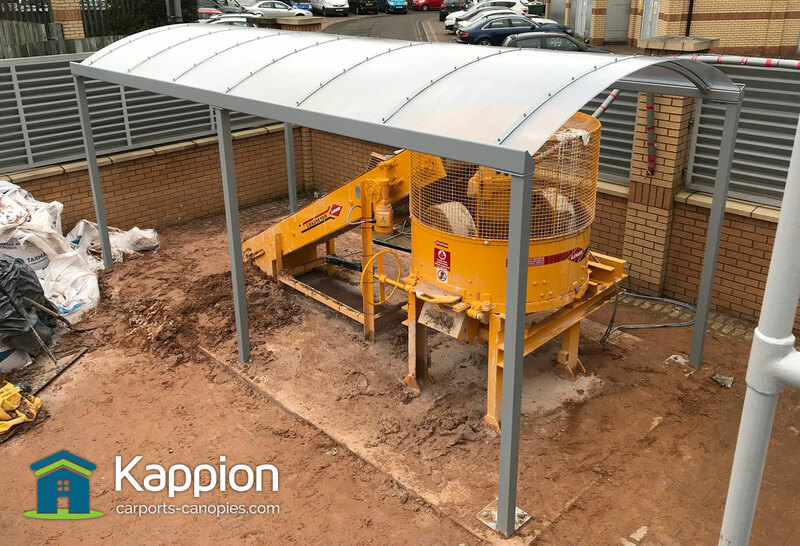 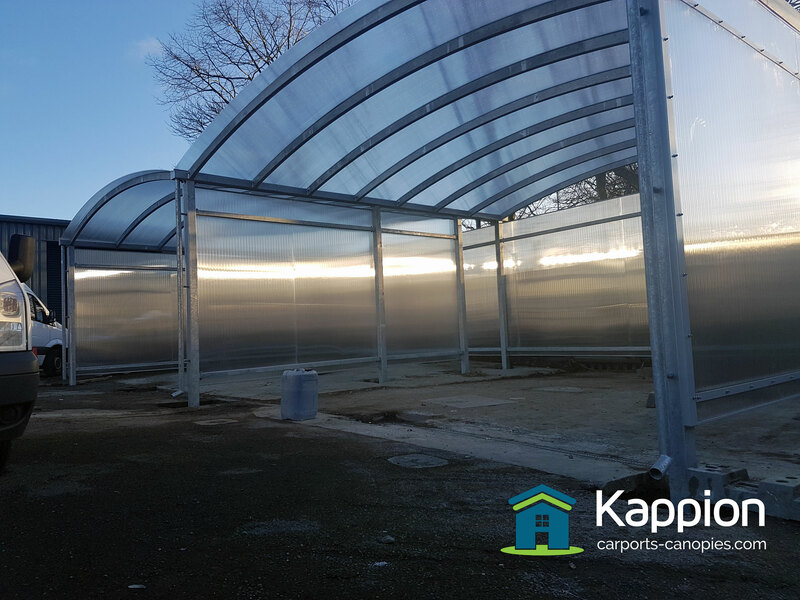 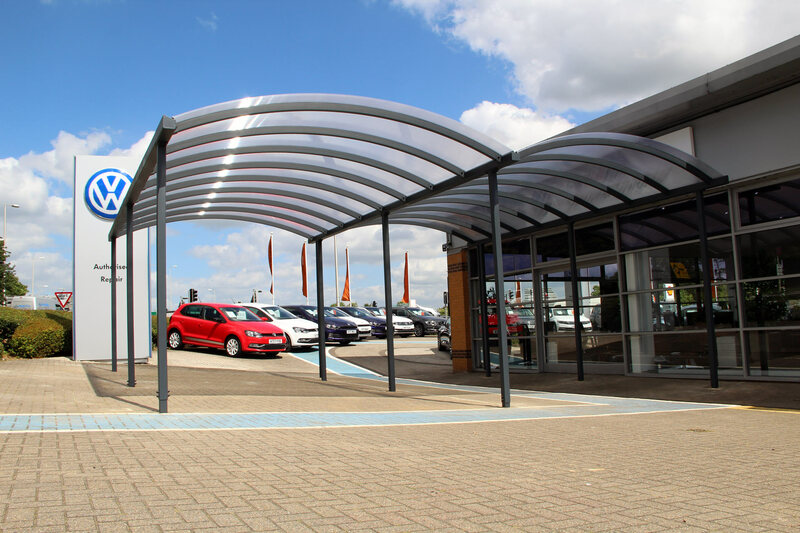 A double curved carport installed as a handover bay canopy for Jardine Motors in Towcester. 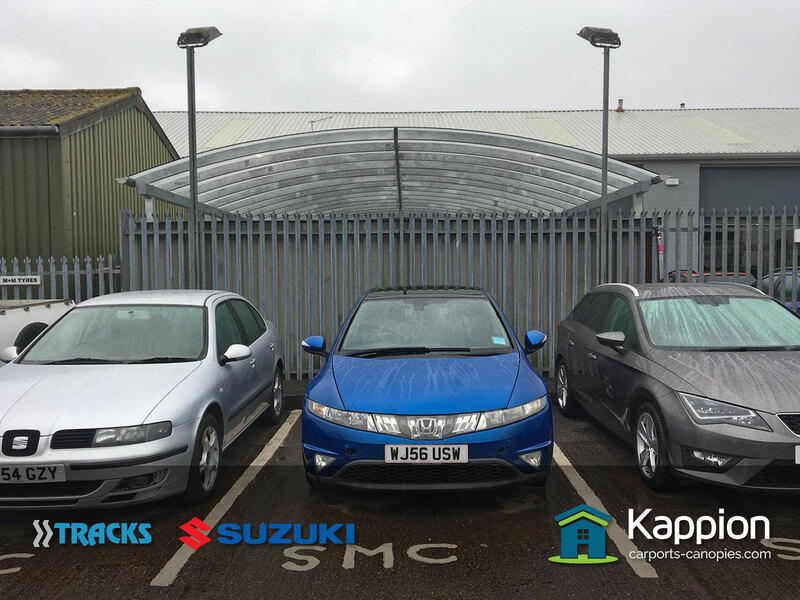 Sales can now hand cars over to customers undercover. 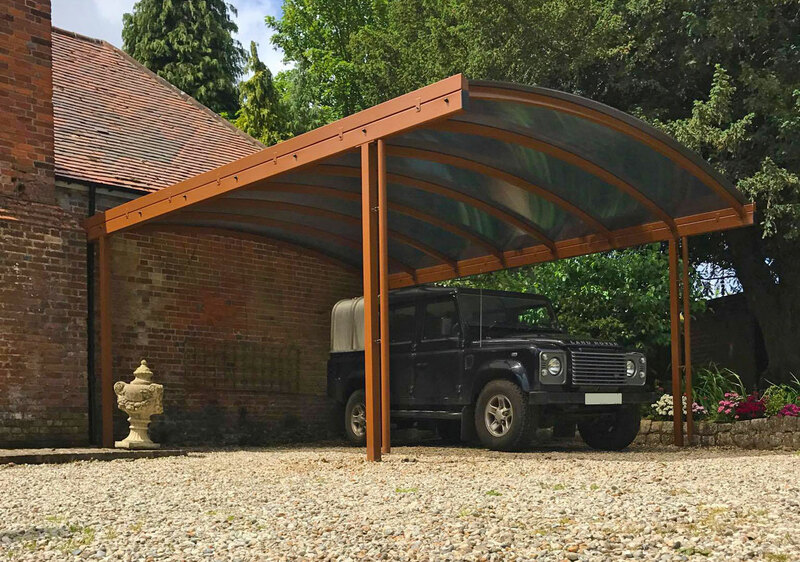 A double carport canopy defending a defender in Canterbury. 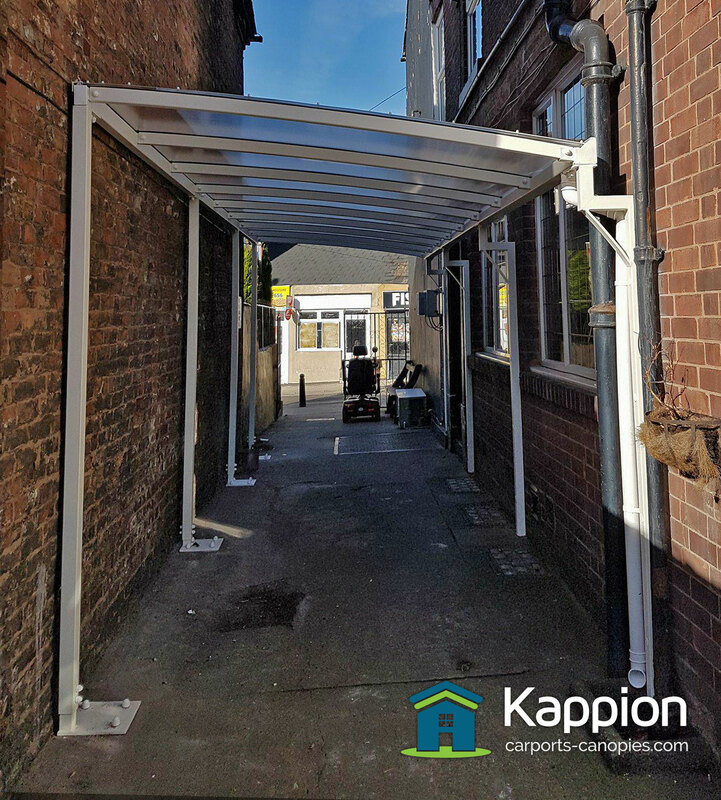 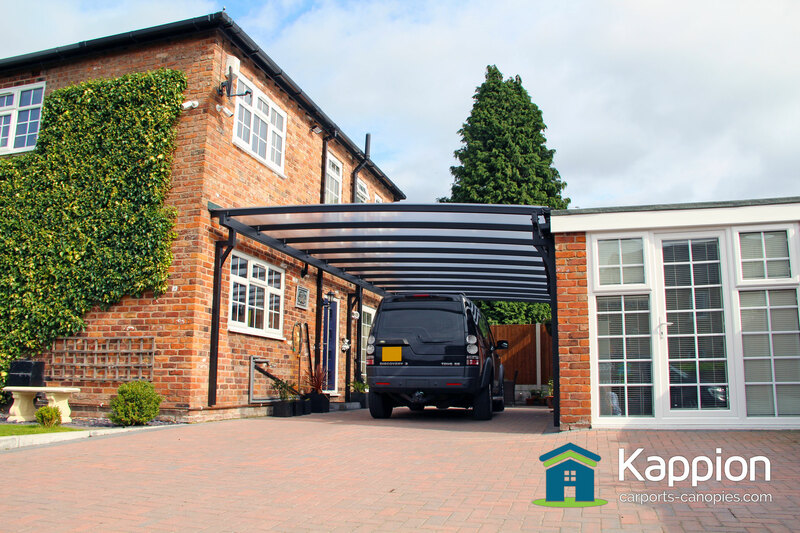 A carport that looks great against period architecture.